Bed And Breakfast5381 sq. ft.
Born in the Netherlands, my parents immigrated to Australia when I was very young and so I grew up in Alice Springs. I currently live in the UK with my husband and two dogs, Hunter and Clare (aptly named after wine regions in Oz! ), and will live in Clare permanently on our return. In the meantime, we are seeing as much of this fabulous world as we can, and hope you enjoy our little bit of paradise at home! Set in 16 acres of natural bushland. Heaps of wood for beautiful fire. Communication with owner was prompt and helpful. Loved staying at Morella House! Hilltop is grand with the large open fire place in the lounge and the smaller fire place in the living area/kitchen. Lovely comfortable beds and rooms. The kitchen had just about all we needed to cook dinner and breakfast. I'd suggest maybe some roasting trays and other small extras for those looking to cook their own full meals, but we got by. Great provisions for breakfast and tasting plates, beautiful country property and would stay again. Absolutely beautiful and very relaxing. Chris made us very welcome and we loved it all including the tennis. 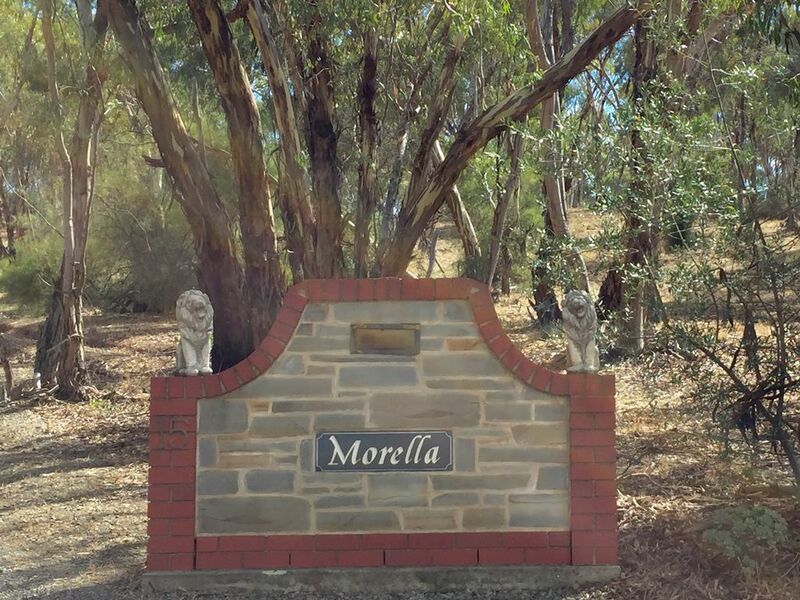 We thoroughly enjoyed our stay in the Clare Valley and in particular our base, Morella House. It is a spacious property with cosy areas for shared family time as well as space for individual time. The kitchen is well appointed, the bathrooms are very clean and practical and our grand daughter loved the deep bath. Our winter stay was comfortable because of the heating and the open fires offered a great ambience. We enjoyed a walk around the property. Thank you. We had a fantastic time at this wonderfully appointed private home setting in close proximity to the Clare town centre.